Foxconn has selected M+W Gilbane, CH2M, and the Sigma Group to serve as the lead contractors and designers for its display manufacturing campus in Racine County, Wisconsin. The companies are expected to begin work within the next 60 days to hire construction workers to support phase one of the project, which will create 13,000 jobs in Wisconsin and more jobs through construction and the supply chain supporting the project, according to a statement from Foxconn. 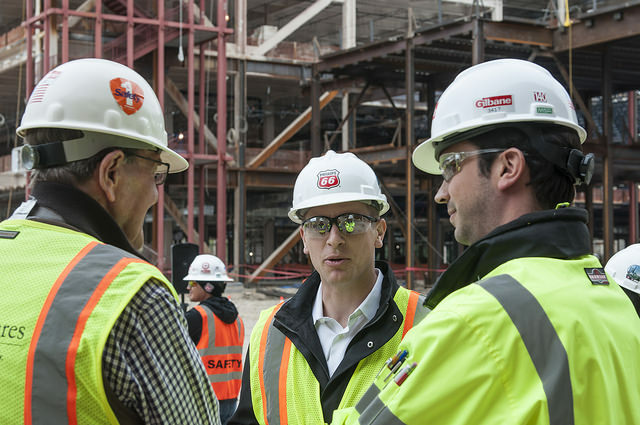 M+W Gilbane, a joint venture between Gilbane Building Company, and M+W Group, a company with expertise in advanced technology facilities, will provide services as the professional construction manager. Foxconn’s display manufacturing campus is expected to produce displays which will be used in televisions to self-driving cars, and aircraft systems, says Foxconn. The Wisconsin campus is also expected to serve as a science and technology park.